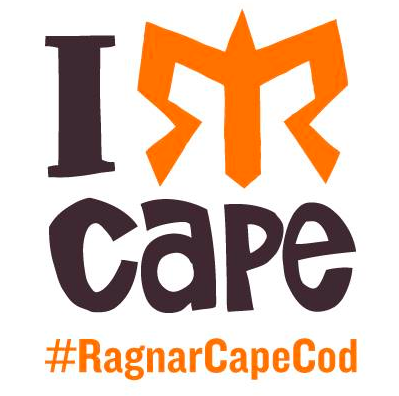 My exciting news is that this Friday I head to Cape Cod to run Ragnar with 11 crazy I mean, awesome people! Follow us on instagram or twitter with my handle @runningwtg. I am positive we'll be posting up a storm! There's even talk of making a video! Gasp! That part makes me nervous! I haven't posted a workout recap in sometime. I end April with 140.86 miles! I am pretty happy with that. Last week my workouts weren't really that spectacular. I had a never-ending fever that was accompanied by exhaustion. It went on for over a week. Finally, on Friday, I stayed home from school and went to the dr. Of course, their thermometer said my temperature was 98.6. I had a variety of labs done and all came back negative and now I feel great. So, perhaps it was a weird virus. Who knows. Just as long as it doesn't come back this weekend, I'm all good! I still ran last week, but just didn't push it. And when I felt really tired, I didn't run. 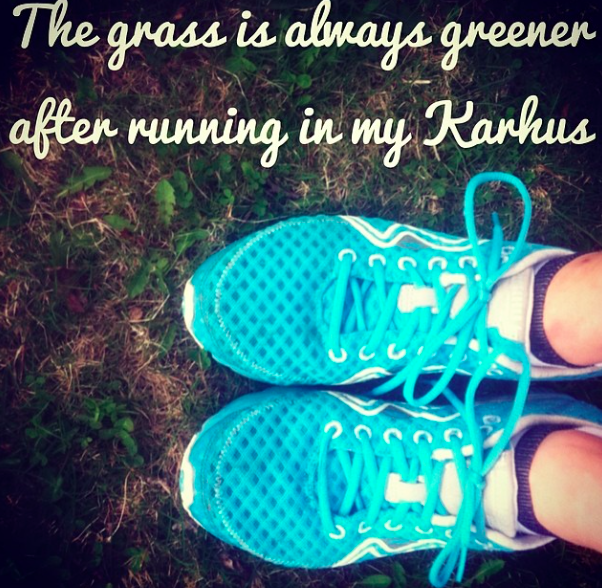 I've been running in these Karhu's quite a bit for the past 7 weeks and they've been great for just about every type of run - speed/long/recovery. Plus they offer awesome arch support and dry out super quick after a run in a downpour. And they look absolutely awesome with my newest Spandits capris! I love how I have all of the colors in these new capris - they match just about every single shirt I own. I'll be bringing them to Ragnar this weekend because they will look awesome with my yellow tutu and yellow tank! One more piece of clothing I cannot get enough of is my newest Gone for A Run shirt. Since I loved my Maine sweatshirt so much, I asked to review the Maine t-shirt as part of my ambassadorship. Since it is getting warmer (on some days), it's nice to have this to wear when I'm not working out. I am one of those runners who after I am done running, I shower and put on running clothes again just because I love they way they feel. This shirt is incredibly soft and feels great. It has a nice tapered cut as well, so it's incredibly flattering and not one of those awful bulky t-shirts. It also looks great with my Spandits and it's purple! This is a shirt I will wear for a long time. Not only because it looks awesome but because it is a high quality shirt that will stand up to a lot of wear. Have you ever purchased anything from Gone for A Run? 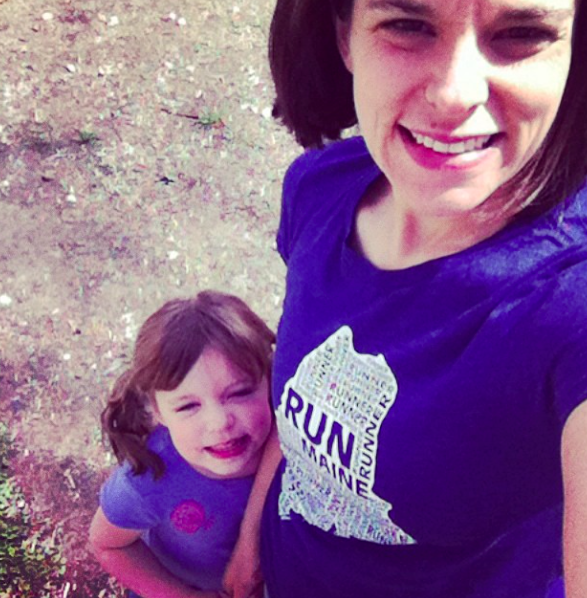 They have so many great shirts and gear to buy for yourself or any other runner in your life. Great week of running! 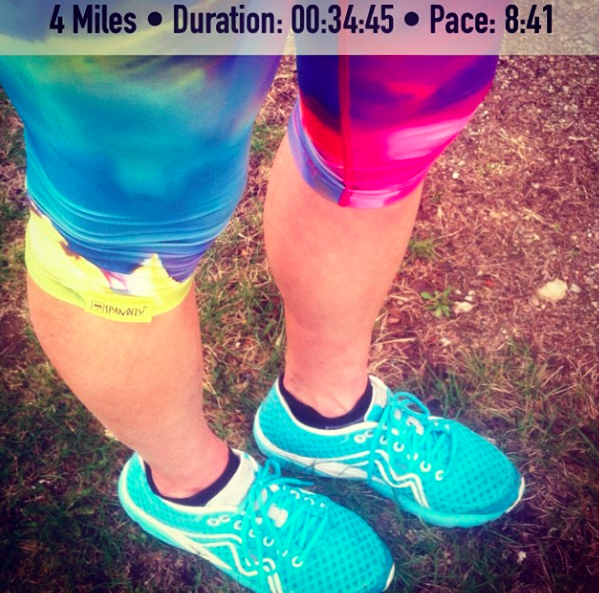 I definitely clicked on your blog post to see where you got those awesome, colorful capris from! Cheers! Sounds like you had a GREAT April girl! !